Artificial intelligence (AI), also referred to as machine intelligence (MI), is set to transform businesses and the way they operate in today's service delivery landscape. AI is considered as the future of customer service, and will be driving brand value and loyalty if coupled effectively with Customer Behavioural Analytics (CBA). Customer Experience management will form the cornerstone of customer service and AI innovations offering actionable insights will be needed to do so. At QBIC³ Solutions we are able to analyze historical customer interaction data to provide high level insights and predictions of the overall customer behaviour within the customer lifecycle. Once we have baselined the customer behavioural information (i.e. Patterns of behaviour), associated strategies are developed with our customers to increase the customer service experience from a quality, speed of service and overall cost to serve perspective. 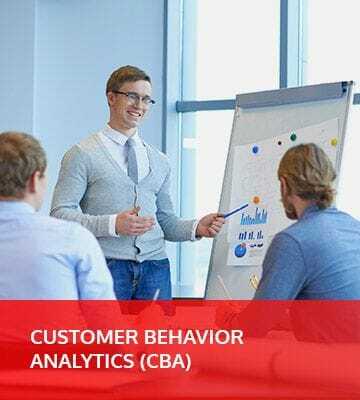 Customer behaviour analytics furthermore form the cornerstone for our customers to adopt and deploy AI Innovations, whilst supported by QBIC³ Solutions to roll-out and measure the success of such initiatives.